Joseph Clavel adopted the pseudonym of IWill in order to stress the intensity of his artistic effort. He made his debut at the Paris Salon in 1875 and became a member of the Société des Artistes Français in 1883. In 1894 IWill was named Chevalier of the Légion d'Honneur and received a silver medal at the Exposition Universelle in 1889 and a bronze medal in 1900. 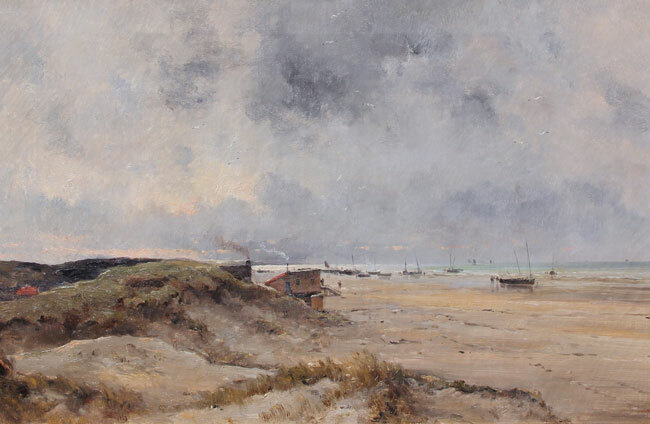 Please contact us if you are interested in selling your Marie Joseph Leon Clavel (IWILL) paintings or other artwork from the 19th century and early 20th century.